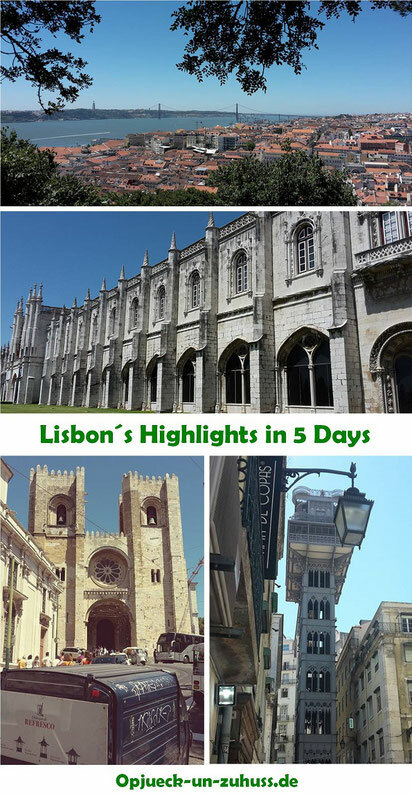 Lisbon has quite some beautiful spots to explore: historical UNESCO world heritage buildings, beautiful viewpoints, super delicious restaurants, great bars and an elevator in the city centre which connects the upper and lower town to just mention a few. 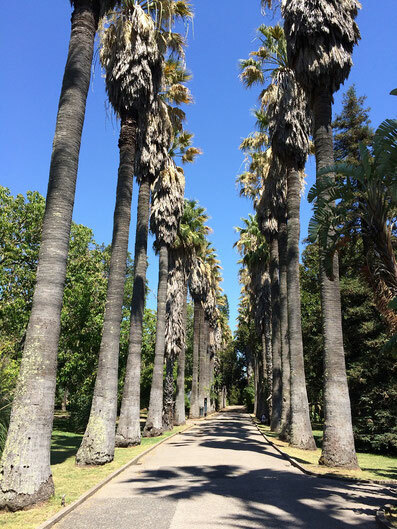 Friday: We spend the afternoon of our arrival day exploring the area around the hotel (Hotel Olissippo Saldanha) and found the largest park of the city. 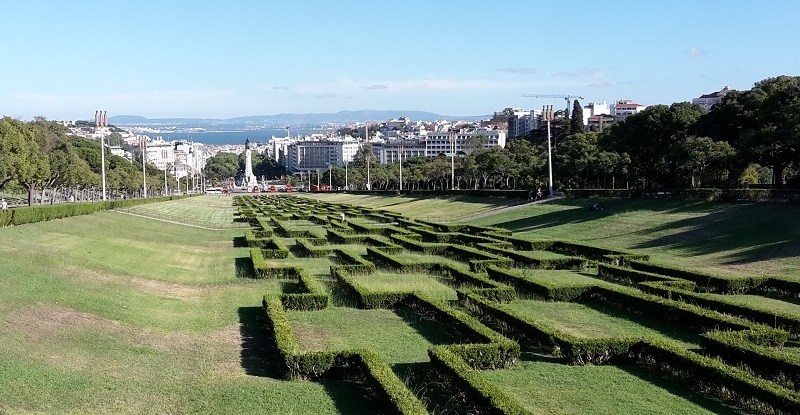 It was renamed in 1903 into Parque Eduardo VII de Inglaterra when the English king Eduardo VII visited Lisbon. 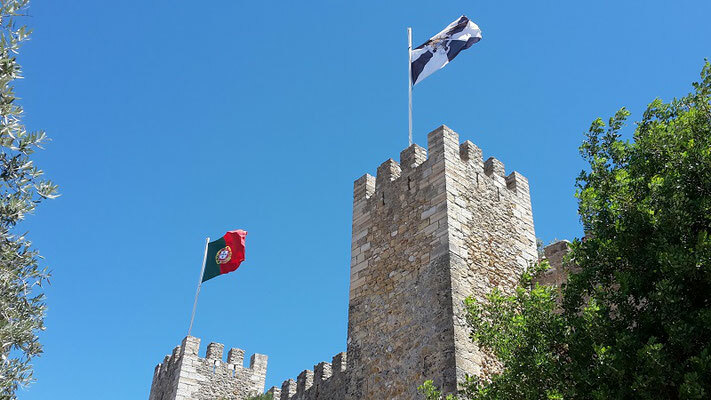 On top of the hill is a nice panoramic terrace which offers a great view to the Tejo and the castle Castelo de Sao Jorge. Behind the terrace is a nice park with an artificial lake and a cute café where you can enjoy a coffee break before going to the nearby department store "El Cortes Ingles". Afterwards we walked back downhill, crossed Praca Marqués de Pombal and entered Avenida da Liberdade. At the large beautiful boulevard we saw many tourists as well as locals sitting in cafés and restaurants while listening to some street musicians. We also enjoyed these free music sessions before going to dinner at the Italian restaurant Italy Caffe Ristorante near the hotel (read more about the restaurant at the end of this post). 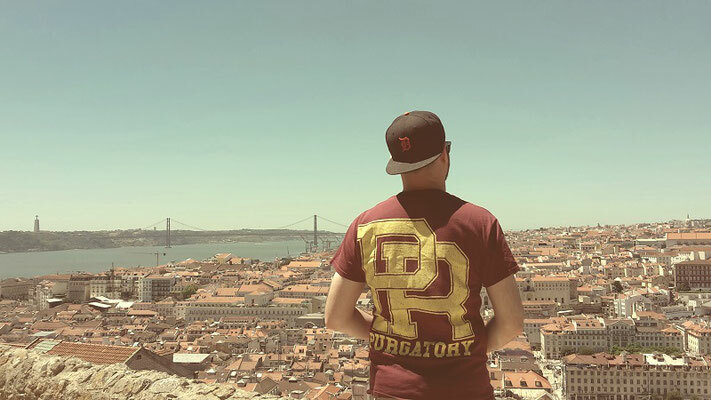 Saturday: We started our day at Praça Rossio. There are three busses going from the hotel to Rossio (207, 736, 783). 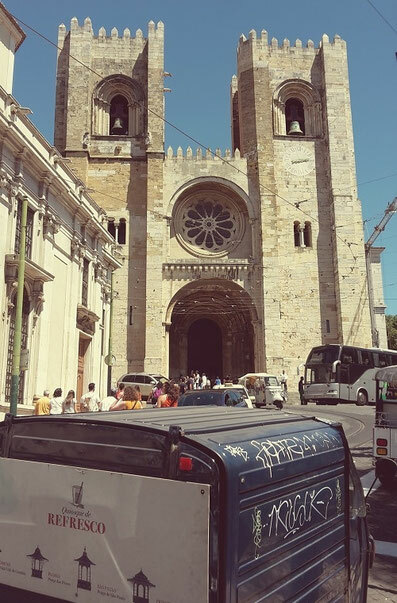 Then we walked only 100 meters to Praça da Figueira. 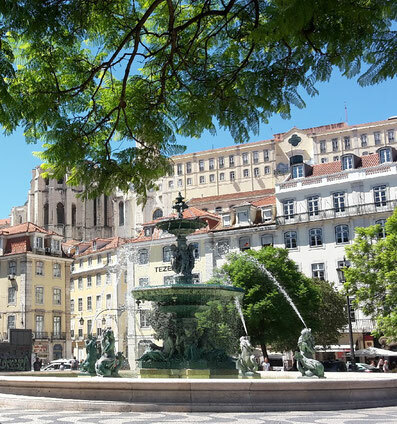 From Praça da Figueira there are three possibilities to go to Castel de Sao Jorg: Walk, take the famous cable car (12E) or take the bus (737). Actually we wanted to go by cable car but during summer season the yellow retro tram is very crowded and this is why we took the empty and air-conditioned bus. Both the tram and the bus arrive after approx. 10 minutes at the castle which is one of the highest viewpoints in Lisbon. For 8.50€ you can explore the castle and enjoy the amazing view. Then we walked back downhill via the beautiful streets of the neighborhood Alfama. 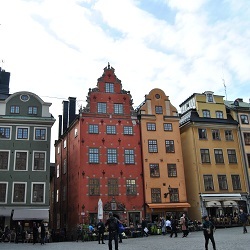 It is the oldest part of the city. The poorest people of Lisbon used to live here but today Alfama is a trendy and gorgeous area that didn´t lose the charm of the old days. 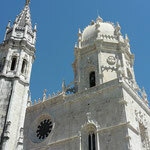 While walking we passed by Cathedral Sé Patriarcal, the oldest church of the city. A few minutes later we arrived at Praça do Comércio. 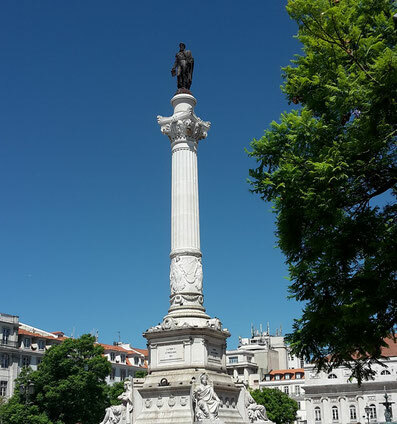 Today the statue of king José I. can be found in the middle of the square but before 1755 the royal castle was located here. It was destroyed in 1755 due to an earthquake followed by a tsunami and fire. 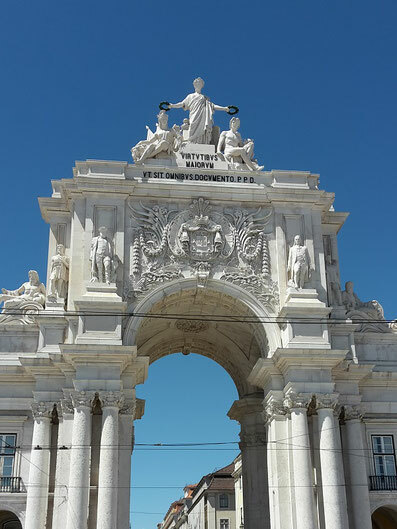 From Praça do Comércio we walked through the triumphal arch and entered Rue Augusta. After approx. 500 meters we turned left into Rue de Santa Justa. There we saw the Elevator de Santa Justa. 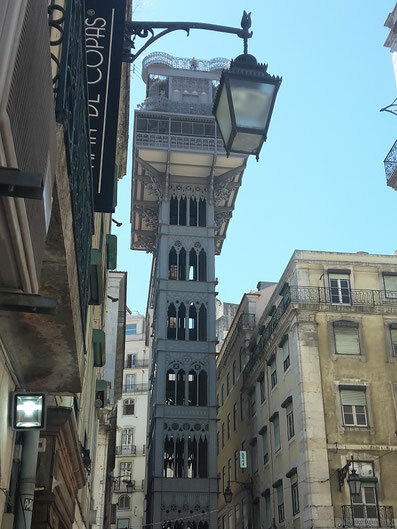 This landmark connects the lower with the upper town "Bairro Alto". Of course it is also possible to take the stairs to the upper part of the city. 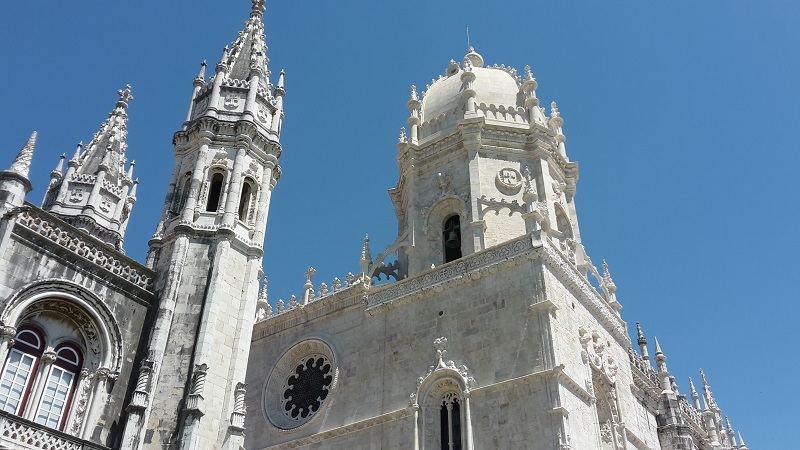 When taking the elevator you will arrive at the ruins of the former monastery "Convento do Carmo" and at the beautiful square Praça Largo Do Carmo. The Bairro Alto is a popular meeting point of tourists and locals especially at night. Also one of the best rooftop a bar of Lisbon is located here "Park" (read more about the park at the end of this blog post). 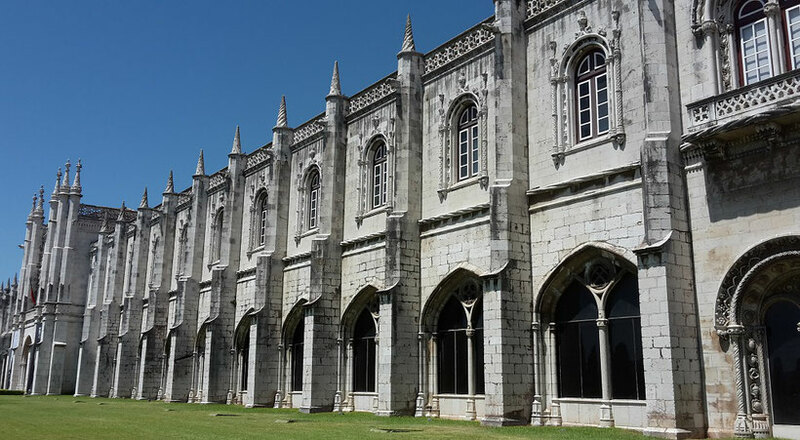 Sunday: We started our day in Belem. 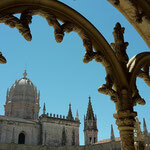 From our hotel we took the bus 727 to Mosteiro dos Jerónimos. There are faster ways to go there but during the 45 minutes’ drive we saw some neighborhoods we probably wouldn´t have seen otherwise. 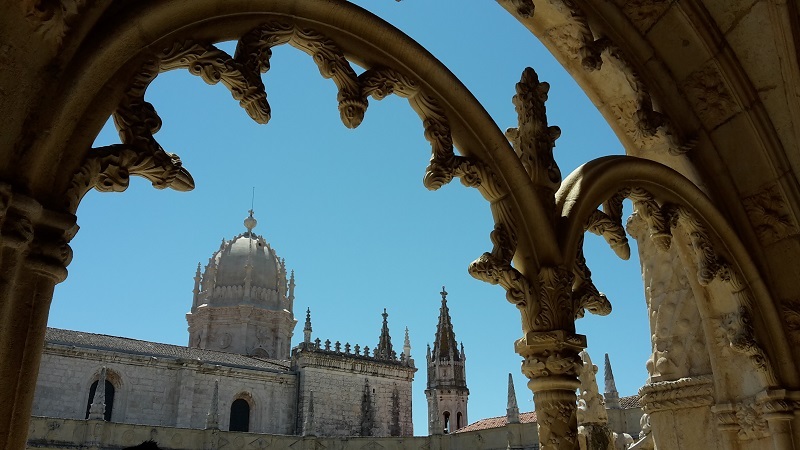 Already when exiting the bus, we were impressed by the elaborately decorated limestone façade of the monastery. 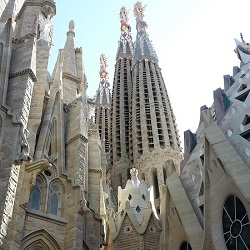 You should arrive at 10 a.m. because these 300 meters long building can be visited for free every Sunday between 10 a.m. to 2 p.m. Accordingly it is very crowded. At first we visited the monastery church with is dedicated to the holy Maria. 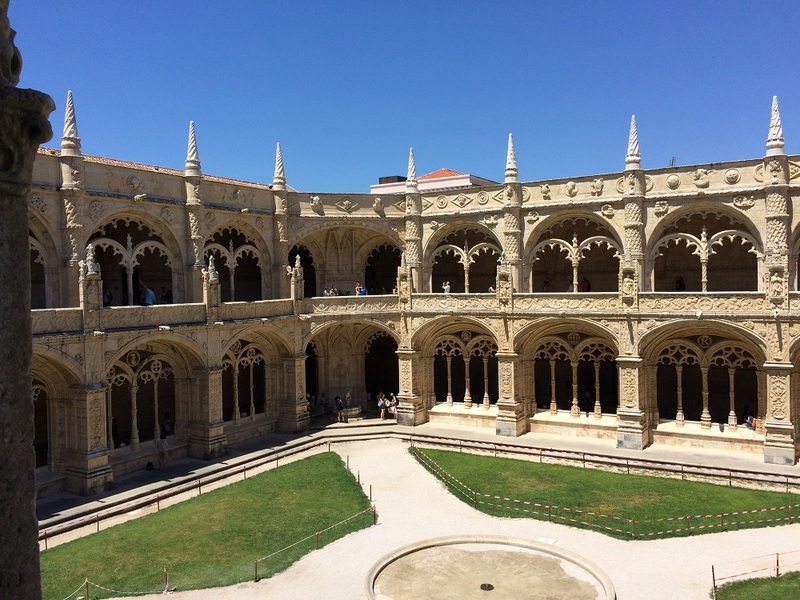 Then we visited the highlight of the building, the cloister, which is said to be one of the most beautiful ones in the world. 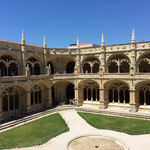 Then we walked to the next UNESCO world heritage site, Torre de Belem. 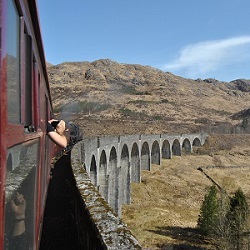 The viewing platform of the tower at a height of approx. 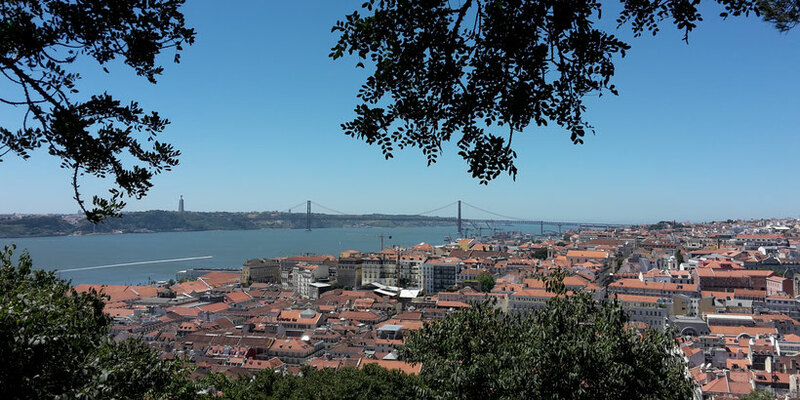 35 meters offers a great view over the Tejo. Back down we walked back towards the monastery and passed by a nice street market. Many street stalls offer nice jewelry, accessories of cork (Portugal is the largest producer of cork worldwide) or children´s items. 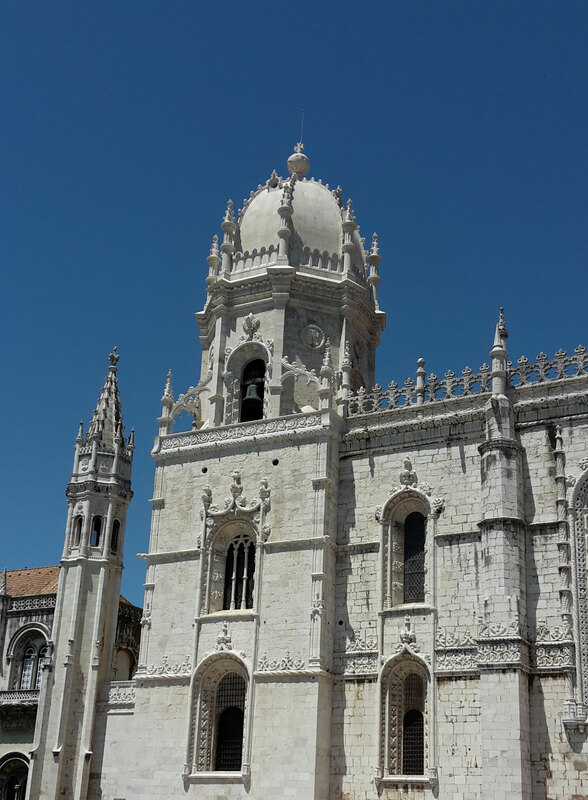 Located diagonally opposite the market is the famous bakery Pastéis de Belém. If you want to try one of the popular custard tarts be prepared to wait a while in the long queue. 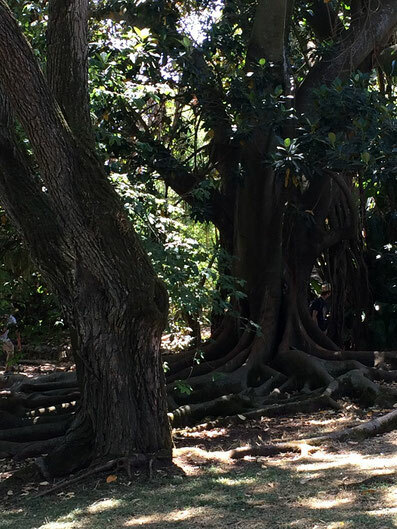 Only 150 meters away is the botanical garden Jardim Botânico da Ajuda. 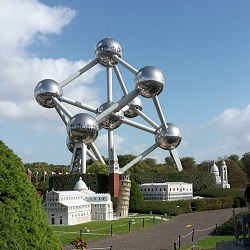 For only 2€ you can relax here without all the other tourists. The garden houses approx. 5000 different plants as well as many small animals. 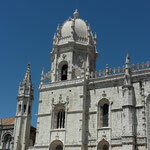 Monday: In the morning we took the bus (732) to the main station Cais do Sodré and then a train to Estoril (30 minutes). Directly at the station is the beautiful beach Praia do Tamariz which offers a great view at a beautiful castle. Who does not want to stay at the beach the whole day, can walk along the beautiful sea promenade (3km) to the next small town Cascais. At one of the many restaurants along the promenade you can have lunch. 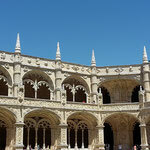 In the afternoon we went back by train to Lisbon. Before going back to the hotel, we visited the food market Mercado da Ribeira, which is located nearby the station Cais do Sobré. Tuesday: From the station São Sebastião near the hotel we took the metro to Colégio Militar/Luz. At the station is the large shopping mall Centro Comercial Colombo, which we visited before going to the football stadium Estádio da Luz. Benfica is the second largest sport club as measured by numbers of members (first is FC Bayern). 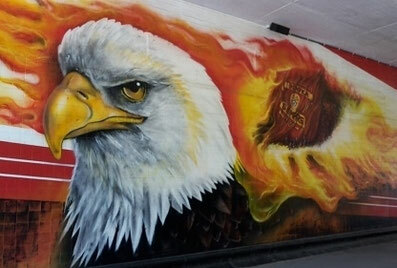 My highlight was the eagle Vitoria which was hanging out in the fan shop. Unfortunately, it is not allowed to make a photo free of charge. The legend tells Benfica will win a match of Vitoria flies around the stadium twice before the game begins; only one turn and the guests will win. 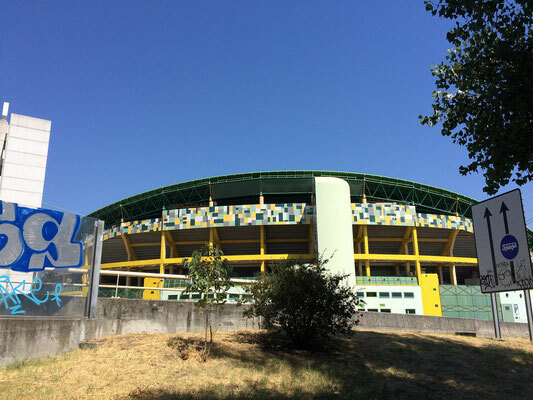 Afterwards we went by bus (767) from the station Colégio Militar to Rua Fernando Fonseca (only 15 minutes / 4 km) where the stadium of Benficas strongest competitor is located; the Estádio José Alvalade XXI from Sporting. 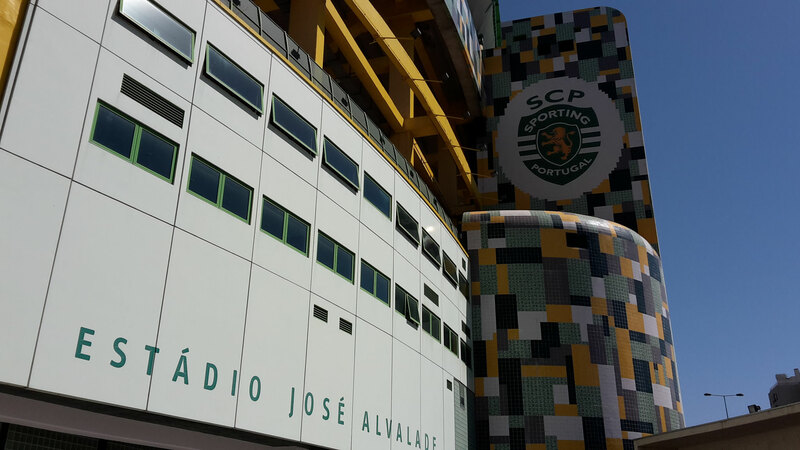 Sporting is the only club in the world that can be proud of two world football players originating in their own youth team - Cristiano Ronaldo and Luis Figo. Then we went from Campo Grande back to our hotel by metro (4 stops). The 4 star hotel is located close to the metro station Saldanha. From the airport it takes 10 stops / 20 minutes to reach the hotel. 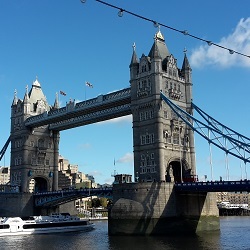 Also the city centre and other famous tourist attractions can be reached by different busses, metro or by foot. Furthermore, the hotel offers a great price/performance ratio. Everything we tried (meat, pizza, pasta, dessert) was super delicious. The atmosphere is great and the waiters super charming. Therefore, it is very crowded at night and I would recommend making a reservation. The chain offers different bocadillos and other snacks at very good prices. Drinks are cheap as well; e.g. beer from 1.50€. The atmosphere is relaxed and it is allowed to smoke inside.